Phoebe and Sean chose our Photo Tour 1 Package which provided them coverage for 2.5 hours. 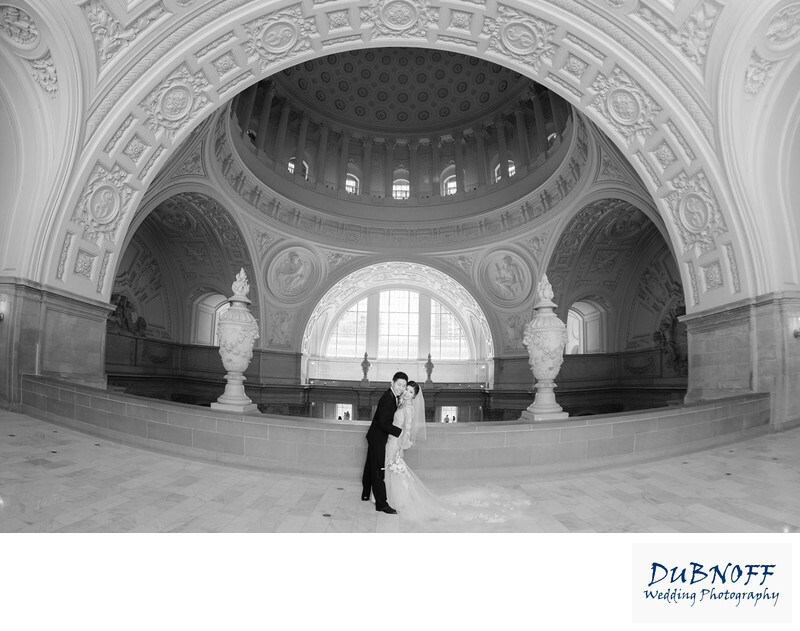 We started at San Francisco City Hall with their ceremony and then went on a photo tour of the building. Once completed, we took them to The Legion of Honor to create some more photographic memories. The Legion of Honor happens to be one of our favorite photo destinations in San Francisco. We love the light here and the fact that it is protected from the elements. You can even shoot here on a rainy day! 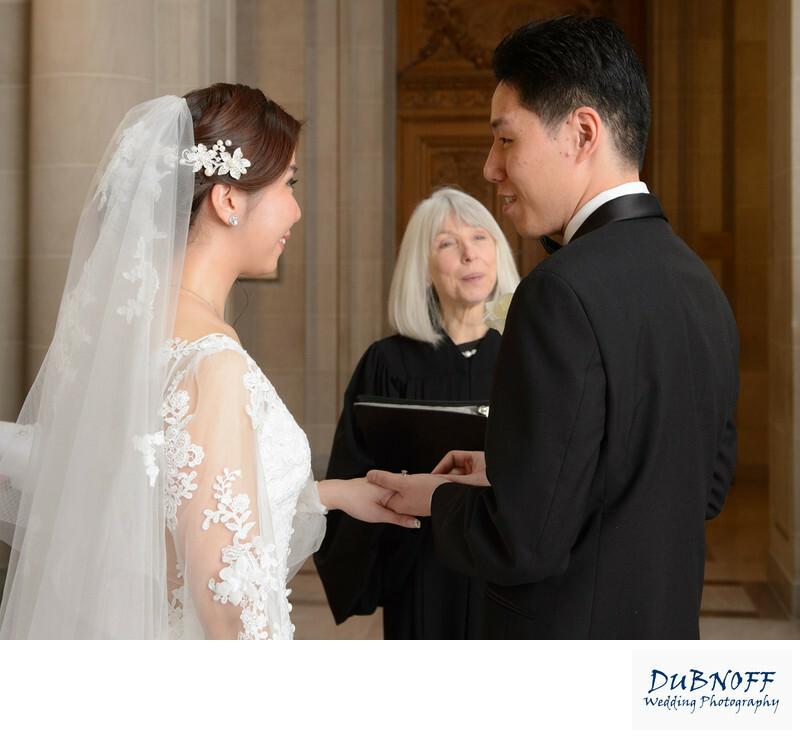 Phoebe and Sean had the standard San Francisco City Hall Ceremony in the Rotunda surrounded by family and friends. The Rotunda is such a great place to have your nuptials, it is located at the top of the Grand Staircase and overlooks the Mayor's Balcony. Surrounded partially by walls, it provides the bride and groom with sufficient privacy. Just remember that if you want total privacy for your wedding you can book a reserved ceremony on the Mayors Balcony or 4th floor North Gallery. The cost is $1,000 which may sound like a lot of money compared to a standard ceremony, but it is still a bargain in San Francisco for such a magnificent venue. The photo below was taken on the 4th floor of City Hall, commonly referred to as the North Gallery, it is one of the most beautiful locations for wedding photography. We love taking our couples there as part of our building photo tour. The photograph above was taken with a fish-eye lens. 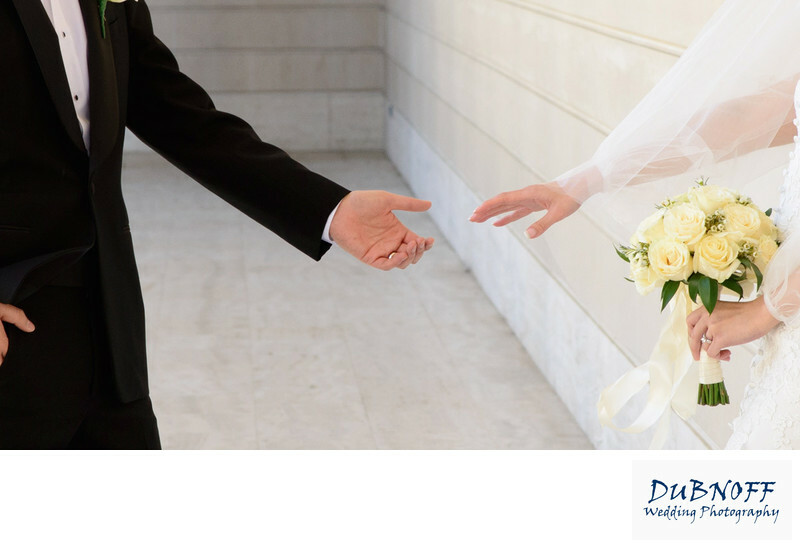 The 4th floor is blessed with ample natural light which creates a soft mood and look to your wedding images. This locale also provides you with a great angle to capture the architecture at San Francisco city hall. This photo really shows off the amazing architecture at San Francisco City Hall. It's one of the main reasons wedding photographers love to take pictures here. In this image we get gorgeous rim lighting from the south facing window. It gives the bride's veil a magical glow. 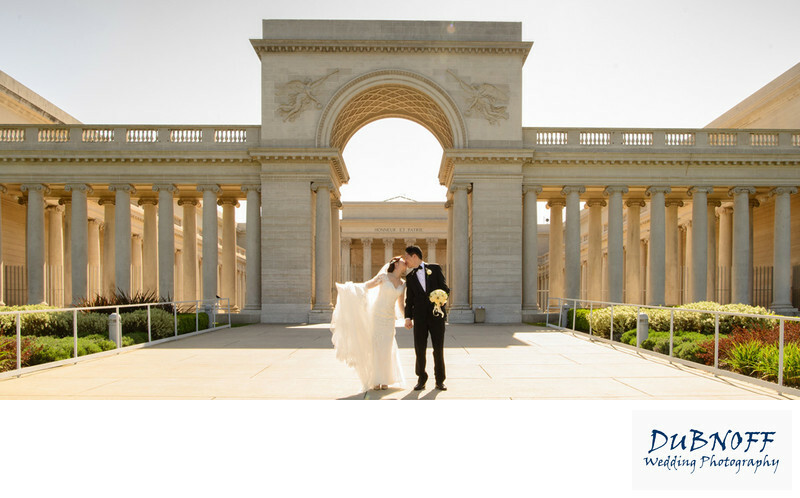 San Francisco's Legion of Honor is one of our favorite stops when we take our married couples on a photographic tour of the city. The light is always great, there is protection from the wind and it's covered in case of wind or storms! We spent a considerable amount of time here for this particular wedding photography session. Our newlyweds were more than happy to pose for us and they received some incredible photos as a result. 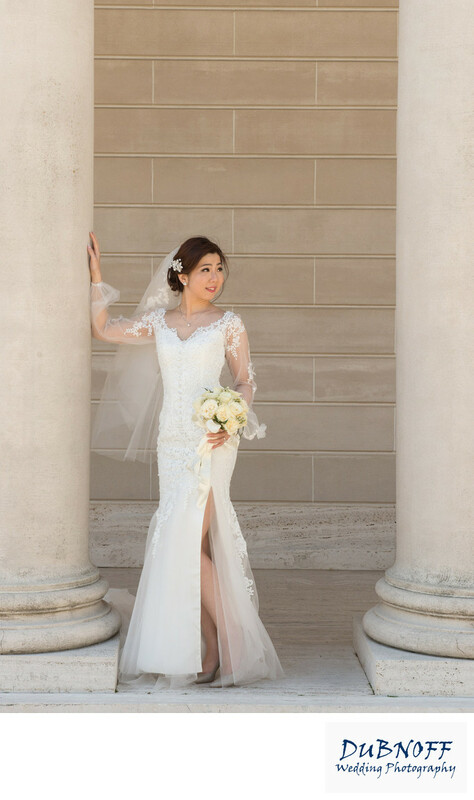 Phoebe shows off her wonderful wedding gown in this image between the giant columns of San Francisco's famous Legion of Honor. One last kiss as we ended our shoot and the happy couple walked out of the Legion of Honor. There is so much to photograph here, it never gets old. Think of the Legion of Honor as one possible destination for your San Francisco photo tour!